"Google, which hopes to revolutionize consumer deliveries via drone, expects to begin delivering packages to customers by unmanned aircraft sometime in 2017, an executive said on Monday.
" 'Our goal is to have commercial business up and running in 2017,' David Vos, the project lead for Google's Project Wing, told an audience at an air traffic control convention outside Washington." Vos is the same guy who is co-chairing the Federal Aviation Administration's new task force working on the process for how drones (aka "unmanned aircraft systems") should be registered with the government under a new requirement. 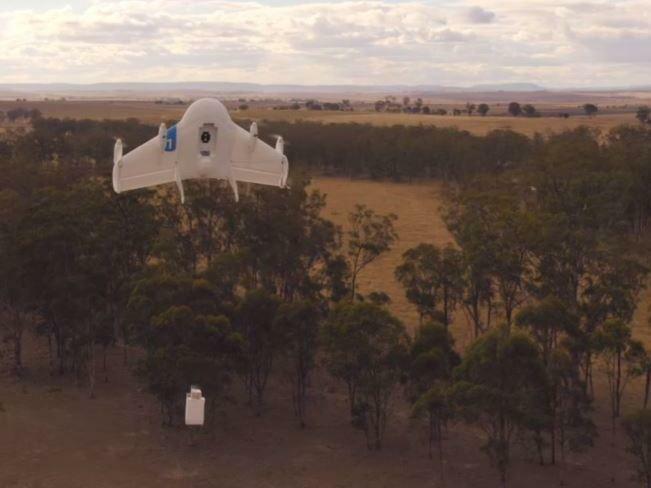 Google's Project Wing goes up against other companies' drone delivery efforts, with Amazon being one of the most well-known. Wal-Mart, too, has now applied to the FAA for permission to test drones for home deliveries, curbside pickup and inventory checks. Both Amazon and Wal-Mart officials are on that FAA task force, alongside Best Buy, GoPro and others. The FAA's work has been surrounded by lots of questions about how drones will be allowed to operate without hurting anyone or anything. How far will drones be allowed to fly? What kind of certifications will the operators be required to have? How will the police and other law enforcement deal with dangerous fliers? Will drones fly all the way from distribution centers or much closer, from delivery trucks? Will people keep buying enough stuff for all this to make sense?